CDC PUBLISHES NEW RULES FOR QUARANTINE AND ISOLATION ON LAST DAY OF OBAMA PRESIDENCY | "Global Possibilities"
How Will the New CDC Rules for Quarantine and Isolation Affect You? There are new U.S. government rules that can force travelers into quarantine or isolation if they are suspected of having a contagious disease. The Centers for Disease Control and Prevention (CDC) published their revised rules explaining how they will intervene to protect the public from the spread of quarantinable communicable diseases such as Ebola. For those of us who prefer to minimize our contact with the conventional medical care system and its pharmaceutical products, these new rules should cause us to carefully consider our health status when traveling across state lines or traveling back to the United States during a CDC health emergency. If we have symptoms of illness that might be confused with a communicable disease, then it might be wise to carefully consider our travel plans. The proposed rules were circulated for public comment last fall, and comments were provided by 15,800 individuals and groups. Many comments expressed concern about preserving the rights of individuals against unnecessary quarantine, and expressed concerns about the potential for forced treatment or vaccination for communicable diseases. The process for apprehending and identifying people with contagious diseases, and the issuance of federal orders for quarantine, isolation, and conditional release were closely questioned by many of those who responded to the proposed rules. Will the CDC Use these Rules to Establish Mandatory Vaccination? A number of public comments questioned whether the proposed modifications were opening a door for the CDC to implement mandatory vaccination and mandatory medical treatment programs for people who have been determined to be a risk to the greater public health, because they might spread certain communicable diseases. As noted in several locations in the CDC response to public comments, the CDC denied this allegation. The rules cover travelers who are residents of the United States or residents of other countries. It affects those who are traveling to the United States and those traveling across state lines within the United States. This means that the CDC and the U.S. Public Health System can exercise authority to screen people for the presence of certain infectious illnesses at airports, seaports, train stations, bus terminals, international border crossings, and at the borders between states. This authority is not new, but is explained in greater detail in the newly revised rules. What Diseases are Covered by the CDC Rules? Not all communicable diseases are subject to the new CDC rules for quarantine, isolation, and conditional release. The official list of quarantinable communicable diseases has been established through several presidential executive orders. This means that the list of diseases could be expanded at any moment by an act of the President. Who will Report People who Might have a Communicable Illness to the CDC? It is standard protocol for airline pilots and cruise ship masters to make reports to the CDC when they encounter a traveler with a potential communicable illness or when a traveler dies while traveling. This is the first line of reporting and is always in effect. The report of a potential communicable disease will trigger a response from the CDC. The CDC will send a public health worker to meet with the traveler. Travelers can be apprehended and detained for up to 72 hours to permit public health workers to arrive and to do a public health risk assessment. Both U.S. citizens and international travelers can be detained in the same way. These reporting requirements are not tied to a CDC health emergency. What Other Steps are Used to Identify Ill People During a Health Emergency? During times when the CDC has declared a health emergency, public health workers will become much more visible and active. An example of this was seen in 2014 when there was heightened concern about the transmission of Ebola from Africa into the United States. During such health emergencies they will step up their surveillance of people who are traveling into the U.S. and their surveillance of people who are traveling around the U.S. They will be monitoring travelers who are moving by air, by sea, and on the ground. What are the Physical Symptoms that the CDC Uses for Disease Screening? What Happens when the CDC Decides a Traveler is a Risk to Public Health? 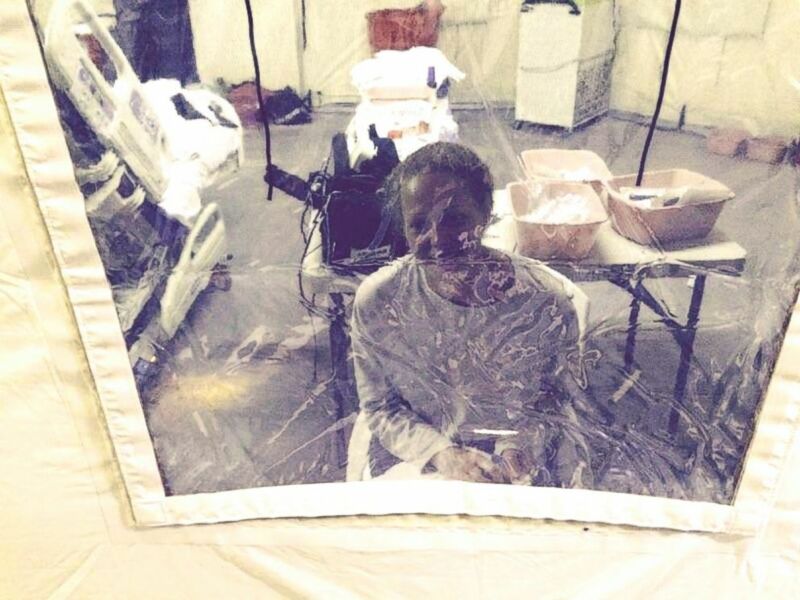 New Jersey Governor Chris Christie forced a nurse returning from Africa where she was treating Ebola patients to be quarantined like a prisoner for 21 days back in 2014, even though she had no symptoms and posed no danger to the public according to medical experts. She lived in a tent with no running water. Story here. If the initial assessment of the public health worker indicates that the traveler may be in a communicable stage or pre-communicable stage of the disease, then the traveler will be apprehended and is not free to leave. The person is not held under arrest, but is required to stay in detention until the matter is resolved. This is how the CDC describes their authority to apprehend and detain travelers. How Will the CDC Respond to Non-Quarantinable Communicable Diseases? These are communicable diseases that are not listed in the presidential executive orders, which means the CDC cannot use its quarantine authority with these diseases. This is how the CDC describes the scope of their concern about the transmission of all communicable diseases in the United States. First, we note that HHS/CDC only has authority to quarantine or isolate individuals who have illnesses that are listed by Executive Order of the President as quarantinable communicable diseases. HHS/CDC does not have the ability or authority to unilaterally modify the list of quarantinable communicable diseases. The key point here is that the authority of the CDC to apprehend, detain, quarantine, isolate, and provide conditional release for people who qualify under these regulations is limited to the diseases specified by the President and limited to people who are traveling. The CDC may have an interest in the spread of other diseases, but at the current time they cannot use the quarantine authority of these rules to respond to suspected cases of measles or Zika, though they will most certainly track such cases and engage state and local health departments to respond. The CDC maintains strong interest in the spread of non-quarantinable diseases such as measles, varicella, pertussis, rabies, meningococcal infections, and rubella. Should a Person Travel if He or She is not Perfectly Well? If you are planning to travel you should be aware of how these rules will affect you. These are some basic questions that will help you decide whether you should travel, especially during times when the CDC has declared a health emergency. Before you begin your travels, take a few moments to consider whether you might be identified as an “ill person” by someone in the transportation system that you will use, or if a person at a CDC screening station might apprehend you as a possible public health risk. If you answer “yes” to several of the following questions, then you are more likely to be reported and/or apprehended. Do you have a fever that has persisted for more than 48 hours? Do you have acute gastroenteritis (diarrhea)? This means that you experienced three or more episodes of loose stools in the last 24 hours, or if you usually have loose stools, then are you having a higher number than normal. Do you have vomiting? Is your vomiting accompanied by one or more of these conditions: One or more episodes of loose stools in the last 24-hours, abdominal cramps, headache, muscle aches, or fever with a temperature of 100.4 °F or greater. Have you had personal contact with people who might have been infected with quarantinable diseases such as tuberculosis, Middle East Respiratory Syndrome (MERS), and Ebola? Have you had personal contact with people who might have been infected with non-quarantinable diseases such as measles, varicella, pertussis, rabies, meningococcal infections, or rubella? Have you been vaccinated for the diseases that are of concern by the CDC? If you have not, then you might be considered to have “host susceptibility,” which means they will consider you to be a higher risk for having and spreading an infectious disease. Are you traveling after having visited another country or U.S. state where there is an existing problem with one of the communicable diseases listed in the CDC rules? Do you have symptoms of a non-infectious health condition that might be confused with one of the infectious diseases that are being monitored by the CDC? The greater the number of positive answers that you give to these questions will be an indication of your likelihood of being reported to the CDC or identified by a CDC screener as a potential carrier of contagious disease. If your number of responses is high, then you might want to stay home until your health improves or choose a mode of travel that is less likely to result in an interaction with a CDC public health screener. The CDC states that they are not interested in identifying people with symptoms of a common cold. “Executive Order 13674 (July 31, 2014), explicitly excludes “influenza” from the definition of severe acute respiratory syndrome.” [Page 6910] So, if you only have a runny nose or cough without a number of the other symptoms mentioned above, then in theory you should be able to travel without interruption. Are there Medical Exemptions from the CDC Quarantine Rules? What Happens if I am Reported to the CDC? What Happens During an Interview with a Public Health Worker? During your interview by a public health worker you may be required to provide various types of information such as your birth date, and to show your passport. The public health worker can conduct non-invasive procedures to assess your condition. If the public health worker determines that your condition is a possible risk to the public health, then he/she will consult with a physician with public health training about your condition. Based on the results of this conversation, the physician could issue a federal order for medical examination, quarantine, isolation, or conditional release. If you are not a risk to the public health, then you will be released for travel without any restrictions. If a federal public health order is issued, then you can be held for up to 72 hours while they conduct a medical examination to conclusively determine whether you are infected with a quarantinable communicable disease. This will usually involve your being transported to a hospital that is equipped with confinement rooms designed to treat patients with communicable diseases. Such isolation rooms may be guarded to prevent unauthorized patient movement. 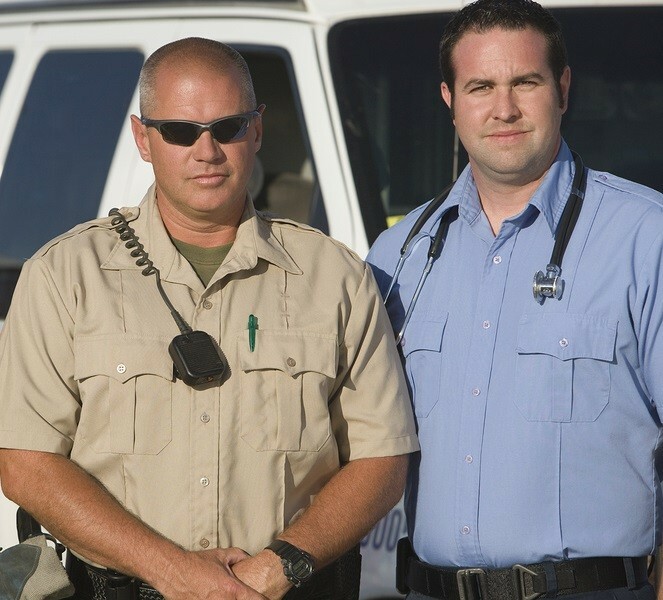 Does the CDC Use Police Officers to Enforce Its Federal Orders? The CDC describes its use of law enforcement powers for quarantine, isolation, and conditional release. What is Contained in a Federal Public Health Order Against Individuals? (7) An explanation that if a medical examination is required as part of the Federal order that the examination will be conducted by an authorized and licensed health worker, and with prior informed consent. (b) A Federal order authorizing quarantine, isolation, or conditional release shall be served on the individual no later than 72 hours after the individual has been apprehended, except that the Federal order may be published or posted in a conspicuous location if the Federal order is applicable to a group of individuals and individual service would be impracticable. (c) The Director shall arrange for translation or interpretation services of the Federal order as needed. What Happens During a CDC Medical Examination? I will quote the text of the CDC Medical examinations rules (§ 70.12) without interpretation. The rules identify the “director” as being the person who will take certain actions regarding your examination. This means that the person(s) who is doing the medical examination is operating under the authority of the director. (a) The Director may require an individual to undergo a medical examination as part of a Federal order for quarantine, isolation, or conditional release for a quarantinable communicable disease. 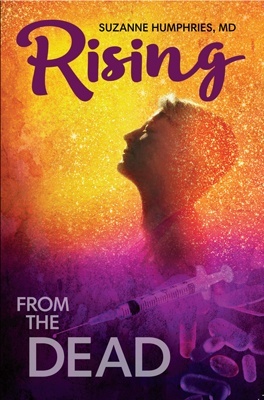 (b) The Director shall promptly arrange for the medical examination to be conducted when one is required under this section and shall as part of the Federal order advise the individual that the medical examination shall be conducted by an authorized and licensed health worker, and with prior informed consent. (c) As part of the medical examination, the Director may require an individual to provide information and undergo such testing as may be reasonably necessary to diagnose or confirm the presence or extent of infection with a quarantinable communicable disease. How Long will a Federal Order Last? The federal order will remain in place until the person is no longer a threat for transmitting disease. This period of time depends on the disease and the point in the disease process when it was identified. The duration of quarantine, isolation, and conditional release could last from a few days to more than three weeks. There is a reference book that describes the infectious stages of various quarantinable communicable diseases. It is known as the Yellow Book. Who will Pay for the Cost of Medical Examination, Quarantine, Isolation, etc.? The CDC will be the payer of last resort. This means that expenses will be billed to your health insurance provider (if you have one), or to any other service provider that is providing assistance to you. 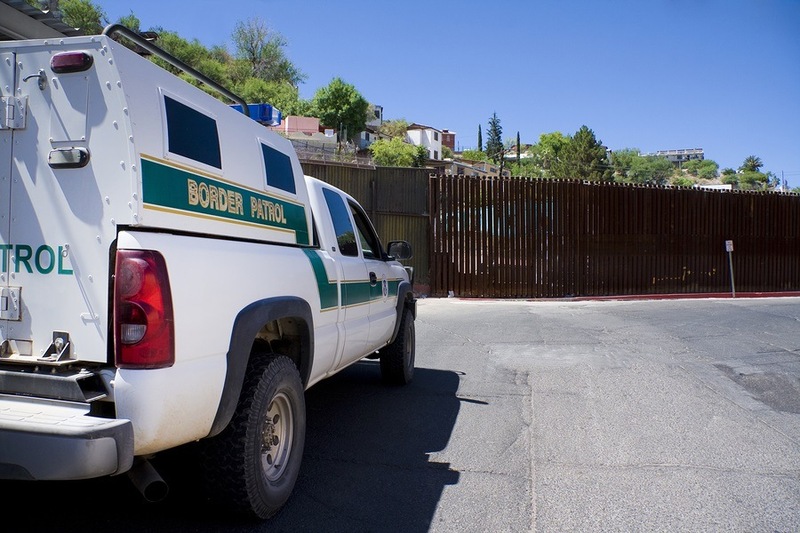 There is no indication in the rules that you will be compensated for lost wages, lost employment, or other losses caused by your detention, quarantine, isolation, or conditional release. The following is a partial list of rules governing payment. (c) Payment shall be secondary to the obligation of the United States or any third-party (i.e., any State or local governmental entity, private insurance carrier, or employer), under any other law or contractual agreement, to pay for such care and treatment, and shall be paid by the Director only after all third-party payers have made payment in satisfaction of their obligations. (d) Payment may include costs for providing ambulance or other medical transportation when such services are deemed necessary by the Director for the individual’s care and treatment. What Happens if you do not Cooperate with CDC Requirements? The CDC wants to be sure that we cooperate with them. They want to be sure that people don’t resist apprehension, detention, and medical examination. They want to be sure that people don’t try to walk away from quarantine or isolation, or ignore the terms of their conditional release. To insure our cooperation, they have established stiff criminal penalties (§ 70.18) for those who do not cooperate, and as a result cause the spread of a communicable disease. (a) Persons in violation of this part are subject to a fine of no more than $100,000 if the violation does not result in a death or one year in jail, or both, or a fine of no more than $250,000 if the violation results in a death or one year in jail, or both, or as otherwise provided by law. I cannot predict how tightly these new rules will be enforced by the CDC during their next health emergency. The CDC was criticized in 2014 for its imperfect handling of travelers coming into the U.S. during the African Ebola outbreak, and we might find that CDC officials might be much more aggressive the next time they declare a health emergency. The risks of being put into isolation in a hospital under police guard are real when a traveler is not perfectly well. 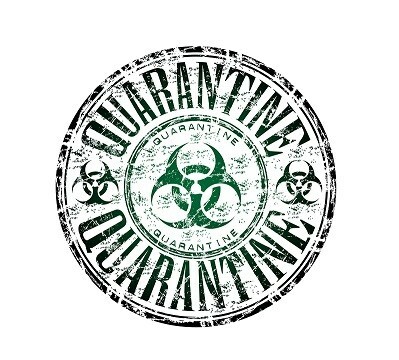 People can be quarantined in a hotel room or in their home with strict limitations on their movement in the community. Even the limitations of conditional release can be significant. A CDC conditional release order can limit travel to the terms specified in a CDC travel permit, and can require you to report to a local public health department for follow-up. 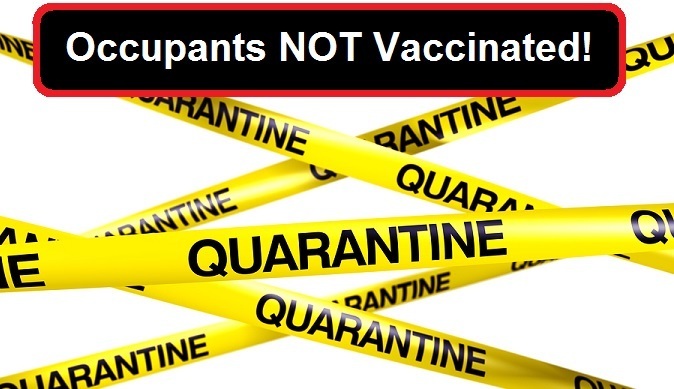 The local public health department may be able to exercise quarantine authority over you and restrict your ability to go to work or even to go into public businesses such as grocery stores until they determine that you are no longer a risk to the public health.